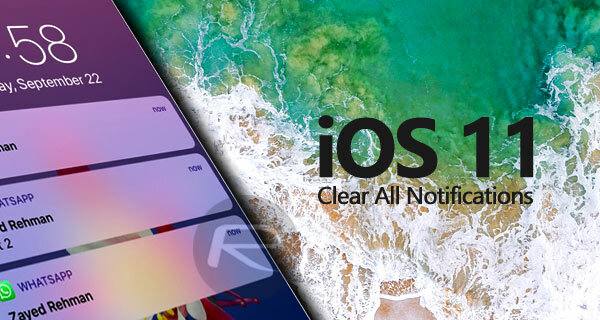 Wondering how the iOS 11 Clear All Notifications feature works on Lock Screen and Notification Center? Here’s what you need to know. During WWDC, Apple did a fairly good job of demonstrating iOS 11 and showing the audience how to interact with key new features of the platform. Most of those new features are large enough to be noticeable and well-designed enough to be user-friendly and easy to understand. But what about the smaller refinements that may be hidden away out of sight, such as the ability to clear all notifications in one go? Step 1: First and foremost, you are going to need to be on your lock screen or have pulled the new notification system down from the top of the display. This is where all new, recent, and historical notifications live in iOS 11. Step 2: If you have relatively new notifications, you will notice that you can see them right here and can only interact with them on individual basis. You won’t see any “X” button on the right-hand side for dismissing them all in one go. For one reason or another, Apple has chosen to only show this on older notifications. With that in mind, you will need to swipe on those notifications to show older ones. Step 3: Once you have swiped up, the older notifications will now show up categorized under different labels such as “Earlier Today” depending on when you received them. Here you should also see the “X” button located just above the stack of older notifications at the right side. A single tap on the “X” will animate the button to say “Clear“. Tapping on that will clear all notifications under that particular label, which is “Earlier Today” in this case. 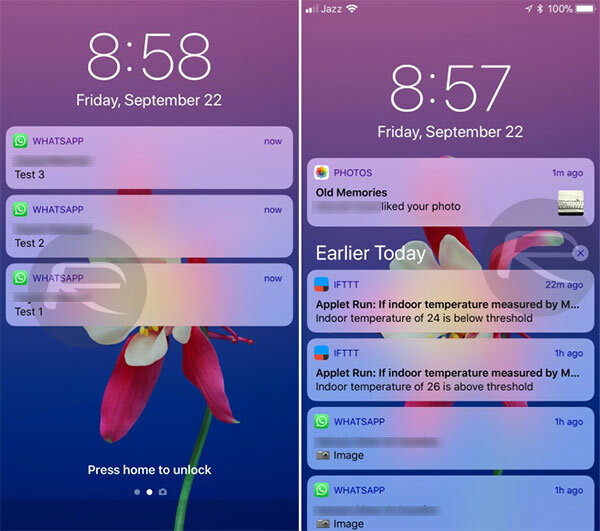 Step 4: However, if you use 3D Touch gesture on this “X” button, you will notice that the whole screen will animate sending the notification view to the background and present a blurred 3D Touch shortcut over the top with a single option of Clear All Notifications. Tap on that button to remove all new and old notifications from the notifications menu. How about close all apps? Apple still struggling with such an easy task. They do have a way to do this. It doesn’t physically remove the the cards from multitasking, but it does purge the ram on your phone, which closes any apps that we’re were on in the background. Hold the power button till power slider comes up, then hold the home button until it goes away. Ezpz. I tried it, didn’t work. I missed having my IOS device jailbroken which had a tweak that did it. But tired of the cat n mouse game. So I guess having a phone without this gimmick means I’m stuck dismissing them one at a time… They could have at least had phones that don’t support “3D” touch use long presses instead. Grrr. The sole reason I’m migrating gradually back to android is these badly thought out changes. I don’t have 3D Touch on my iPad air and so this means I have to clear them one at a time.